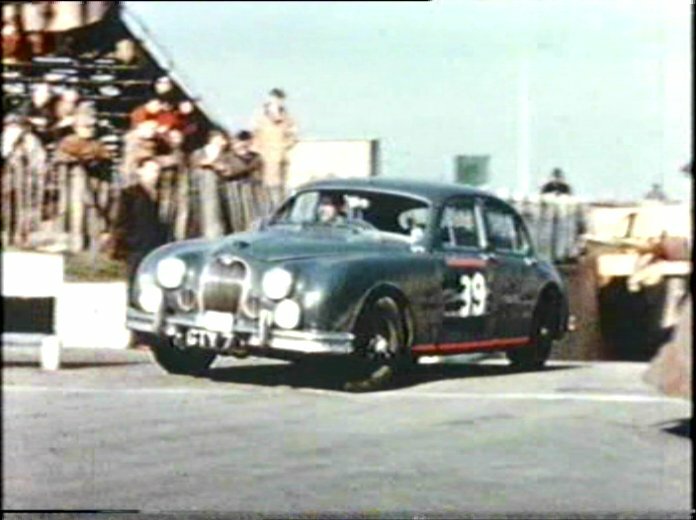 IMCDb.org: 1957 Jaguar Mk.I in "30 Years of the RAC Rally, 1991"
This is a Jaguar Mk1, the lack of the chrome bar down the centre of the grille and the thicker side window surrounds identify it. The other picture is not the same car, it is a Mk2. Can't date the rally but GTY 7 plate has a story. "Phillip Walton of Newcastle-upon-Tyne kindly supplied us with the information about his father's car. 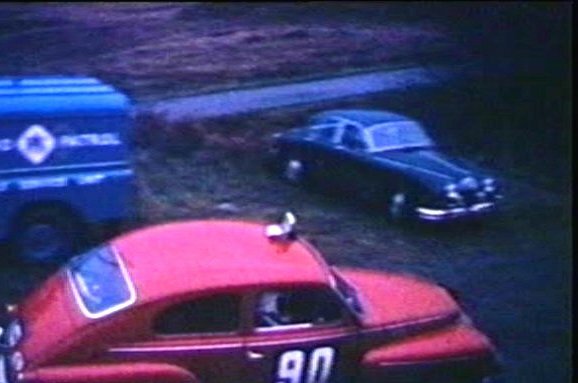 Mr PG Walton [senior] was a well-known local rally driver in the 1950's to early 1960's, entering the Monte Carlo rally around twelve times in addition to other events such as the RAC rally and Dutch Julep Rally. He was Tyne Tees Television sports car for the year at least once in the 1960's as well as appearing on a couple of television documentaries. His 'lucky' cherished number plate was GTY 7" - http://www.nationalnumbers.co.uk/customer-stories-GTY7.htm - lots of event photos of the plate on Vauxhall Velox and Jag Mk1 and Mk2.